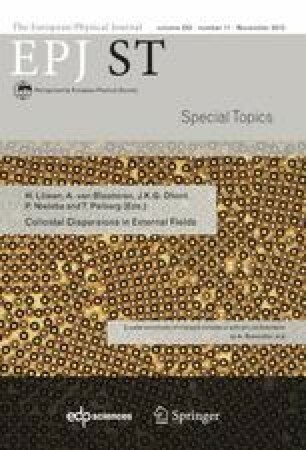 During the last decade the focus in colloid science on self-assembly has moved from mostly spherical particles and interaction potentials to more and more complex particle shapes, interactions and conditions. In this minireview we focus on how external electric fields, which in almost all cases can be replaced by magnetic particles and fields for similar effects, are used to manipulate the self-assembly process of ever more complex colloids. We will illustrate typical results from literature next to examples of our own work on how electric fields are used to achieve a broad range of different effects guiding the self-assembly of colloidal dispersions. In addition, preliminary measurements and calculations on how electric fields can be used to induce lock-and-key interactions will be presented as well.